Jon Arryn’s passing is given just a handful of shots in the first episode of Game of Thrones, but it’s the event that drives almost everything that’s happened in the series since. But according to Sir John Standing, the man behind the corpse, we almost saw a bit more of the character—and Cersei Lannister at her meanest. Game of Thrones’ unaired pilot was a very different product from the show we eventually got in that it followed the books more closely. 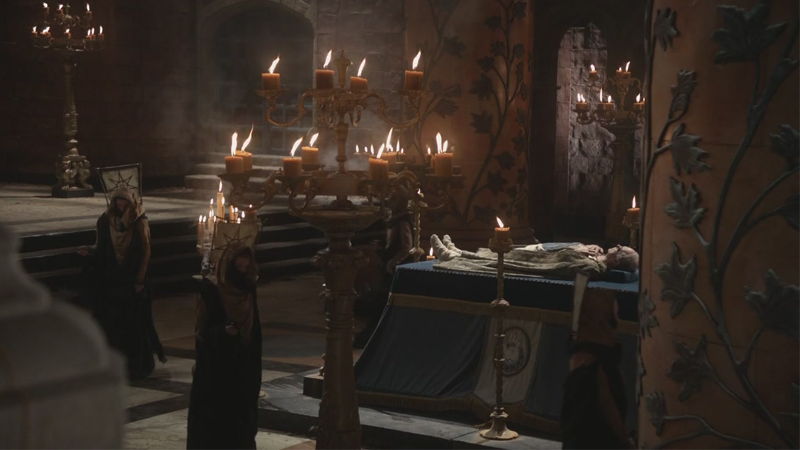 In a recent interview with Los Siete Reinos, a Spanish Game of Thrones fan site, Sir John Standing, the famous British actor who had the honor of lying down for a bit as the corpse of former Hand of the King Jon Arryn, the pilot featured a scene that depicted a far more brutal end for Arryn. According to Standing, the scene depicted Arryn in the final moments of his life, attempting to scrawl a note (presumably one that said something like “Those Lannisters are up to no good, also my wife is kind of crazy, xoxo, Jon Arryn”) before being found by Cersei Lannister, who furiously stomps on the old man to prevent him from writing anything before he expires. It makes sense that it was cut—from what we’ve heard, the original pilot didn’t do a great job of condensing the plot of the books into an episode of TV, and you don’t really need to see Jon Arryn die, or Cersei being sinister, when you have the later scene of Cersei and Jamie discussing Arryn’s silencing while they watch his funeral. You already get everything you need from that, while also learning a little bit about Jamie and Cersei in the process—it’s much more efficient, even if it meant less of a role for Standing. It’s amusing that Standing still gets fan mail for his scenes in the show, though. What are people actually writing to him about? He literally just sits there with some stones over his eyes, and that’s about it. Someone forward me their Jon Arryn fan mail, I’m genuinely intrigued.